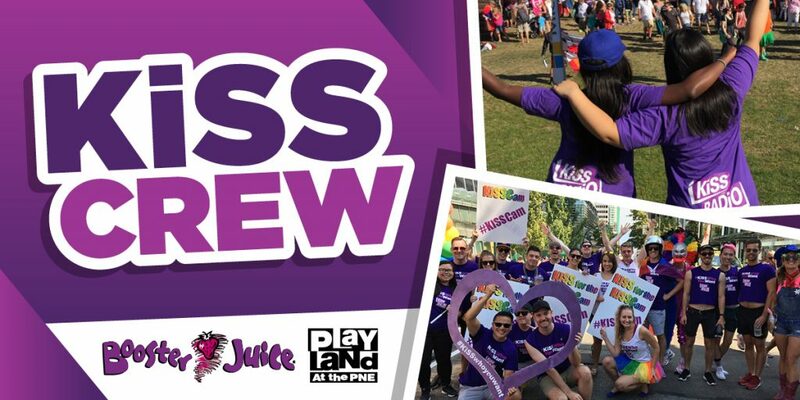 Wherever you are around the Lower Mainland and the Valley this spring and summer, the KiSS cruiser will be there too, helping you cool off with some help from our friends at Booster Juice and Playland/PNE! Find us at concerts, festivals, street parties, beaches, parades, and more!! Come say hi and help us get the party started! In partnership with Booster Juice and Playland at the PNE. KiSS Crew: Sweet and Salty Burgers. Kiss Crew: Definitely not a Plane Jane kind of Night. KiSS Crew: The Sunniest Sunday of the Summer!